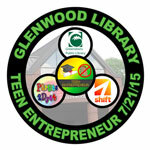 Highlights from Teen Entrepreneur held Tuesday, July 21st 6-8pm, at Glenwood Library as part of the Entrepreneur Summer at Greensboro Library sponsored by Parties 2 Dye 4 with organizing help from Shift. 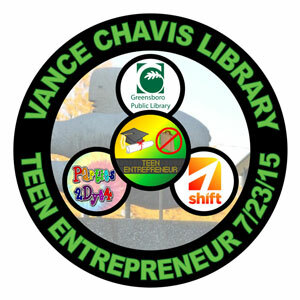 PUBLIC EVENT – On Thursday, July 23rd 6-8pm, Teen Entrepreneur will be played at Vance Chavis Library for Teens sponsored by Parties 2 Dye 4 with organizing help from Shift. 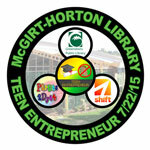 This is the sixth and final event for teens to qualify for the PitchPocalypse on Sunday 2:30-5:00 at Central Library as part of the Entrepreneur Summer at Greensboro Library . 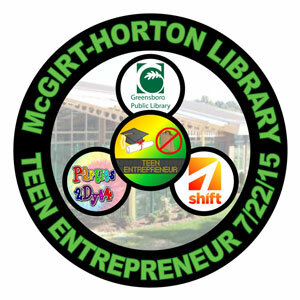 PUBLIC EVENT – On Wednesday, July 22nd 6-8pm, Teen Entrepreneur will be played at McGirt-Horton Library for Teens. 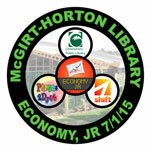 This is the fifth event of the Entrepreneur Summer at Greensboro Library sponsored by Parties 2 Dye 4 with organizing help from Shift. 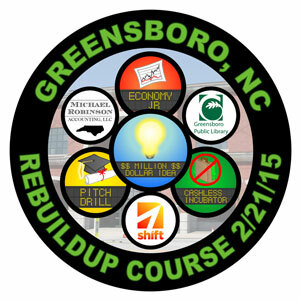 PUBLIC (FREE) EVENTS – ReBuildUp returns to the Greensboro Library with the Entrepreneur Summer sponsored by Parties 2 Dye with organizing help from Shift, the Nussbaum Center Entrepreneur group. 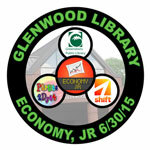 Teens are invited to come out and play Economy, Jr. followed by at a later date Pitch Drill and the Cashless Incubator back to back as part of the Teen Entrepreneur events taking place at the end of July. 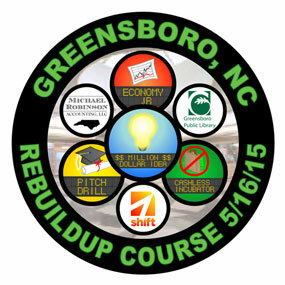 PUBLIC (FREE) EVENT – On Saturday, May 16th, our ReBuildUp Course for adults will be held from 1-5pm at Greensboro Central Library in Downtown Greensboro. 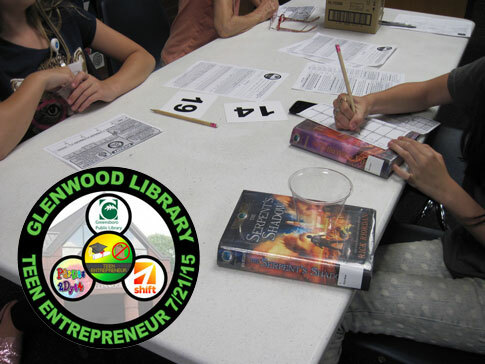 For the first time, this event will be open to adults 18 and up although a small number of select teens will be allowed to participate (contact us for teen details). 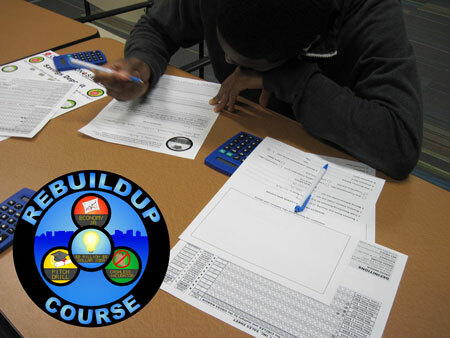 The ReBuildUp Course is part one of our three part Startup Program developed to help aspiring entrepreneurs learn the basics and find out if they truly want to take the plunge into entrepreneurship BEFORE committing to business courses, expensive leases, and borrowing money. 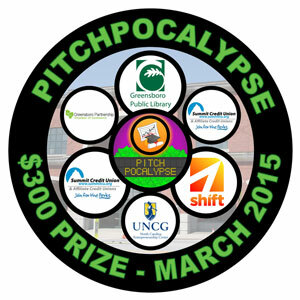 Part two takes place the next day on Sunday 2:30-5:00pm (also at Central Library) with our PitchPocalypse business plan pitching contest with up to 8 contestants from our ReBuildUp Course competing for money towards their startup effort along with other prizes like Greensboro Chamber of Commerce membership for 1st and 2nd place and 3 months of accounting help from Michael Robinson Accounting for all three top winners. 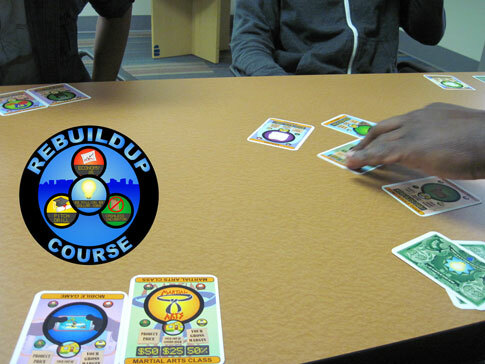 Part three is our Startup Test Flight running for 3 months for winners and non-winners of the PitchPocalypse to use techniques learned during our ReBuildUp Course to test the startup waters on your own time to figure out what you want to do for a business. 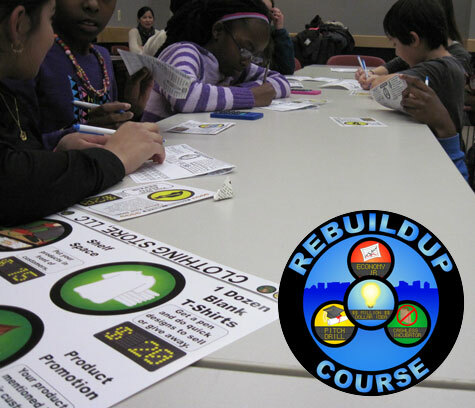 Here are pictures from our Saturday, March 14th ReBuildUp Course held for area teens hosted at the Co//ab sponsored by Michael Robinson Accounting. 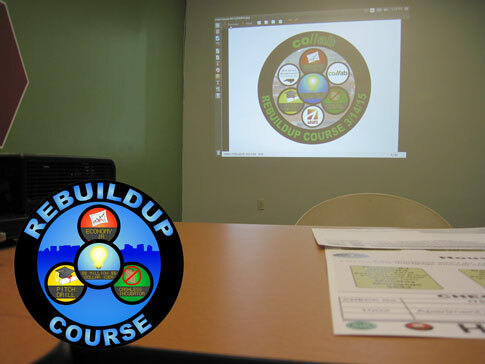 Thank you to Co//ab for letting us use their new Downtown Greensboro facility on a rainy day along with mentioning us in their weekly newsletter. 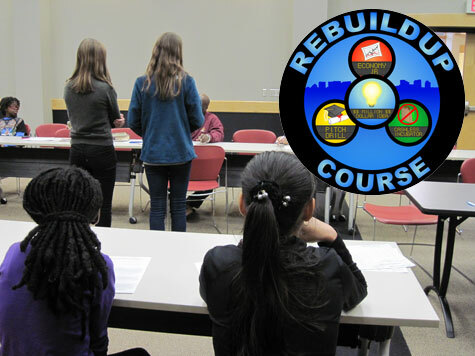 Here are the pictures from the Saturday, February 21st ReBuildUp Course held at Central Library in Downtown Greensboro sponsored by Michael Robinson Accounting. Stay tuned, we’ll be announcing the location of the next ReBuildUp Course to be held also in Downtown Greensboro on Saturday, March 14th, 1-5pm the day before the rescheduled PitchPocalypse at Central Library on Sunday, March 15th, 2:30-5pm. 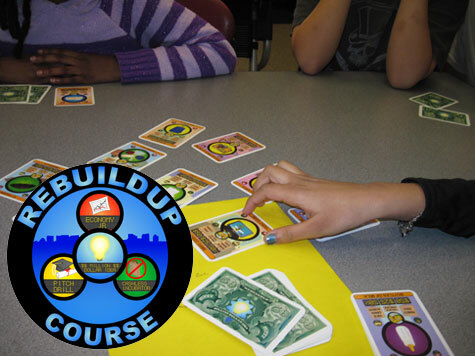 Time for cards with Million Dollar Idea. The presentations begin with Pitch Drill. It all comes together in the Cashless Incubator held at the end. 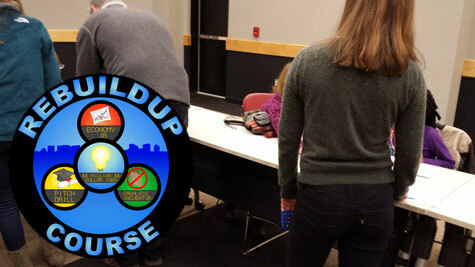 Due to some issues like the weather of the past week, we had a lower than expected turnout so we are rescheduling the PitchPocalypse to a later date in March, possibly on a Sunday to make it more convenient for students to attend. 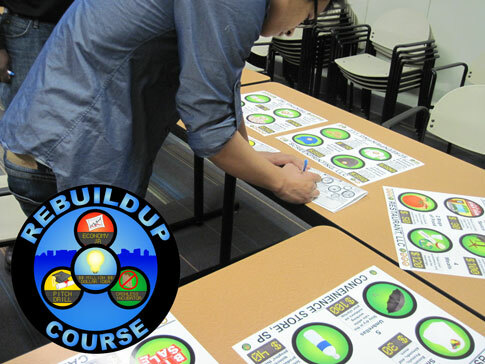 We will also be holding a 2nd ReBuildUp Course the Saturday before to increase our applicant pool for the contest. 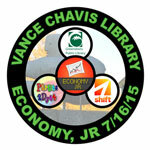 Please check back on this site or join our Twitter or Facebook for the announcement on new dates. 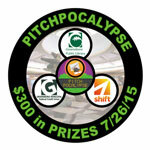 Those who’ve already entered the PitchPocalypse business plan contest will be contacted by email. 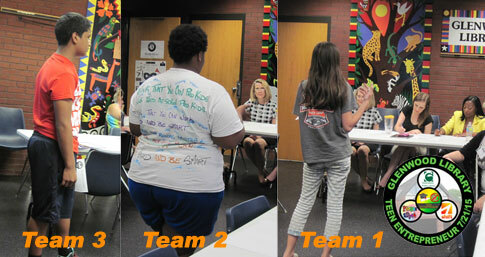 Thank you again to Summit Credit Union, Greensboro Chamber of Commerce, and UNCG’s NC Entrepreneurship Center for their continued support with these events.